"Somebody is bound to know something..."
Sheriff Hammack took the podium flanked by comrades and implored the public for help in solving the murder of Heather Dorris. Sheriff's Office and Family of Heather Dorris Plead for Public's Help in Murder, LIVINGSTON, January 24, 2011 - Local law enforcement and the family of murder victim Heather Dorris are seeking the public's assistance in finding the person(s) responsible for her December 30, 2010 murder. Polk County Sheriff Ken Hammack held a press conference at the Polk County Emergency Management Office and opened up stating that they are appealing to the public for help. 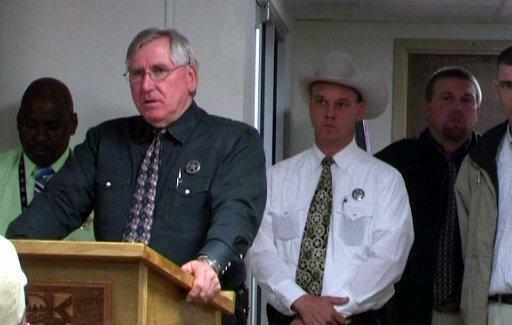 Hammack was flanked by Criminal District Attorney Lee Hon, Texas Ranger Ron Duff, and Chief Deputy Byron Lyons. 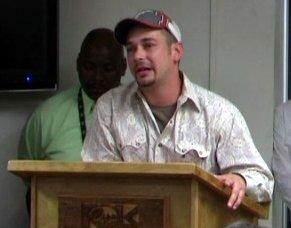 After Sheriff Hammack spoke briefly, Heather Dorris' mother, Melissa Segrest, took the podium. The pain was still raw and fresh on her face and in her voice as she pleaded to the public to come forward regarding the murder of her daughter. 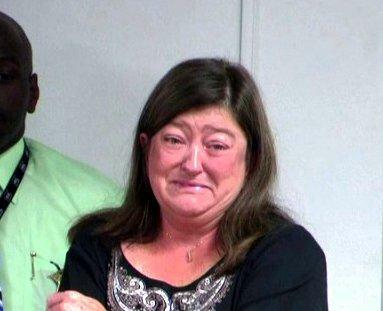 "I want you to know she was the best daughter anyone could ask for", she tearfully said. "She was a loving caring mother who left behind two beautiful babies. She didn't deserve this" "...we just want justice, we want these people caught". Segrest held up 2 pictures of her daughter for the cameras. Heather Dorris' grandmother Bobbie Segrest addressed the audience and stated "...We loved her so much" she said, "...We hope and pray to God that if there's anyone out there who can find who did this to our precious Heather, we would greatly appreciate it". 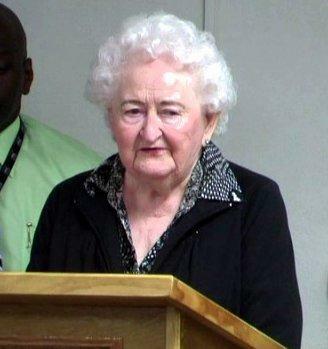 As Bobbie Segrest left the podium she broke down, "Please dear God help us" she tearfully exclaimed. Afterwards, Heather Dorris' husband Jerrmey Ramsey took the podium, "Every single night my daughter gets worked up and asks where her mother's at", he said, "I tell her she's with Jesus, but that's not enough, she's only 5 years old". "She remembers her mom, but our 8 month old never will get to see his mom". "If anyone knows anything at all please, please help us. Somebody is bound to know something and if they do just please help us". Crime Stoppers will pay $5,000 for information leading to the arrest of the murderer of the December 30, 2010 murder of Heather Dorris. You can also contact the Polk County Sheriff's Office. The subject of murder has come up fairly frequently in Polk County. "Please dear God help us" -- Bobbie Segrest, Grandmother of murder victim Heather Dorris. Click the image above to see the press conference. Heather Dorris' mother (Melissa Segrest) struggled to talk. Heather Dorris' husband, Jerrmey, has to answer to his 5 year old daughter nightly about her mother, but she's too young to understand.